On Commission: Non-profit photography for Plant It Forward Farms — Portraits, Corporate Storytelling, and Reportage Photography based in Washington, D.C.
A recent commission to create fresh imagery for a Houston-based non-profit organization allowed me to see first-hand how refugees are being helped to establish themselves in their new country. 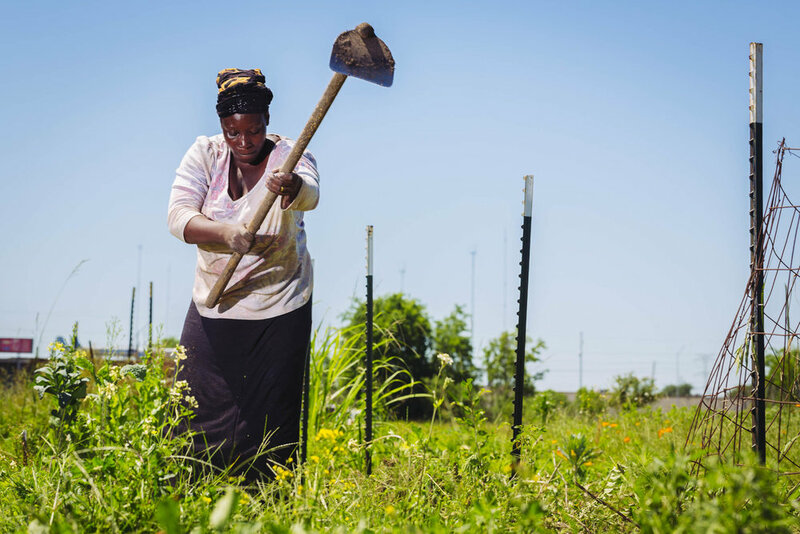 Plant It Forward serves mainly Congolese refugees by allowing them to farm unused land in urban areas while letting participants keep all their profit. Farmers sell their fresh veggies at local farmers markets as well as farm-to-table based restaurants. The images were used to build a new website, create print collateral and for social media publication.